Many of the factors that shaped the global fabric trade at the turn of the millennium, and even over the last decade, are fast yielding to new age trends. Subir Ghosh writes. If one were to contract the value chain of the global textiles-apparel-fashion industry- for the sake of convenience and debate, the fate of much of the industry would depend considerably on the way fabrics are manufactured and traded. And, if one were to look at the big picture, it would be all about trade. Sure, the global fabrics trade has seen a swathe of changes in this millennium, but the very nature of trade is such that it is fluid. Trade wars and geo-political complexities make it unpredictable. 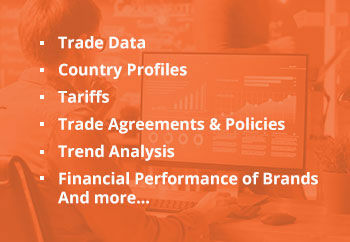 So, to make informed decisions, it is important to see in what ways trade, or even sourcing, has changed in the recent past, and to understand certain key industry trends that will have an overbearing impact on the unforeseeable winds of trade. Major international fabric events are a good place to start if one is fishing for trends. These are bustling hubs, and business deals struck here set both the pace and direction of trade. 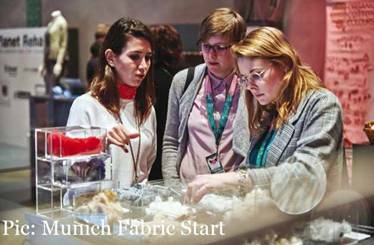 One such must-visit event is the Munich Fabric Start (MFS). It is a leading international trade fair that every year opens the new season twice and has fabrics at the core. 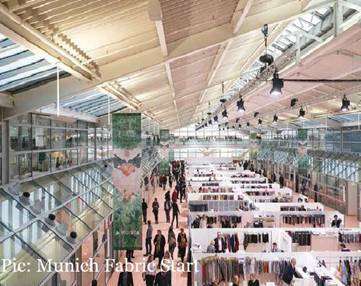 More than 1,000 international suppliers from 40 countries, including many renowned fabric and accessories manufacturers, present over 1,800 collections in Munich, Germany. MFS managing director Sebastian Klinder, who has seen the event evolve over the years, observes, "Over the past ten years both the textiles and apparel industries have undergone a revolution. Globalisation, digitalisation, artificial intelligence (AI), sourcing, resource efficiency, sustainability-have all redefined one of the world's most important branches of industry. And we are still in the early days of novel process and product solutions. "There is still so much more scope for further development. Being one of the most important international fabric trade fairs, MFS has already initiated expert conferences with acknowledged experts on these topics in the most recent past; and very successfully so. At Keyhouse, the innovation and competence centre of MFS, we flag up new features and innovations in this area and provide an outlook for future-proof materials and manufacturing processes." 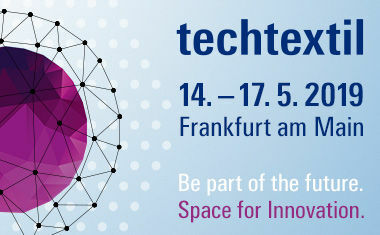 Far away, on a different continent, Texworld USA hosts fabric suppliers and mills from all over the world specialising in a wide range of product groups. Show director Jennifer Bacon points out, "Over the last 12 years at Texworld USA, we've seen many crucial factors such as duty rates, tariffs, legislations, and the ever-changing processes of how we manufacture materials affect the way we trade fabric globally. "Recently, we've seen a shift in how we trade, especially when it comes to developing countries and the practices that are being used. Textile imports are becoming more diversified, and this is causing a shifting pattern of world apparel manufacturing. There is a huge movement in sustainable practices for mills and manufacturers. A new generation of buyers are more concerned of where and how their materials are being produced and the consumer is becoming conscious of what they are wearing." 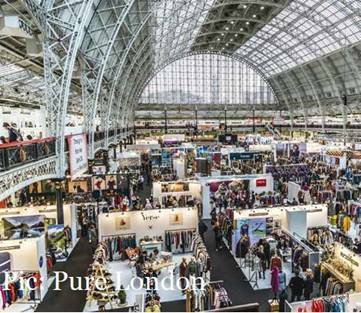 Back across the Atlantic, Pure London is the United Kingdom's leading fashion trade show which takes place twice a year. Held alongside is Pure Origin, that brings together all aspects of fashion sourcing and manufacturing under one roof. Key account manager Matteo Perrone remarks, "With online fashion sales increasing by almost 300 per cent in the last six years, retailers are facing the big challenge of remaining unique and competitive, while being more transparent. As a result, we have seen a rapid increase in the number of private labels launched by medium and big retailers to create uniqueness and increase customers' loyalty. Launching their own brands means becoming more sensible and thoughtful about raw materials and fabric sourced which needs to be unique and, in most cases, customised and bespoke to each retailer. Fabric suppliers have been asked to be more flexible in terms of design, production and minimum orders to meet the needs of European retailers." Also over the last decade, Ricardo Silva, head of operations at Portugal's Tintex Textiles, has seen the textiles industry together with fabric trade being reshaped through a global scale evolution. He explains, "Being a particularly easy industry to change (geographically and technologically) compared to other models, like heavy chemical or automotive industries, change and development must be taken for granted in textiles. With globalisation, we've seen first Europe and then America suffering under the onslaught of Eastern Asia business competitiveness, which has been a boost (for industry) and a clear sign of the need to modernise and evolve. "This evolution has not only been technological (with adoption of new equipment and processes), but specially with the new ways of doing business, it has also been one of communicating and synergising. This is, today, the way to innovate and add value to our companies and business models-through technical specialisation and synergies." Moreover, in the last 10 years, according to Furio Annovazzi, chief executive of Italy's Iluna Group, "the market has always sought the price even at the expense of quality, but lately the trend has been changing. The request for eco-sustainability is felt in all sectors of industry, and also in the textiles industry the search for green and the traceability of raw materials is becoming increasingly important." Perrone continues, "Proximity too is key. 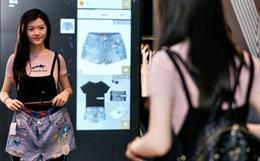 Fast fashion is still driving growth for both online and high street retailers who are looking for shorter lead times, which means having not only suppliers in Asia, but also an additional supplier closer to home, and therefore growth in areas such as East Europe and North Africa. The market compared to 10 years ago is now more fluid and dynamic with buyers always looking for new suppliers, and loyalty is threatened by the need to be fast, unique and flexible." Trends are far too many and change from one geography to another. But all trends are not equal- some trends are more impactful than others. Wolfgang Klinder, managing director at MFS, points out, "The digitalisation of production workflows and product innovations has definitely had the strongest measurable impact on the global textiles market, thereby fundamentally changing and modernising it. The largely very specific know-how required in many areas of this sector calls for in-depth networking and, hence, strong, reliable cooperations. 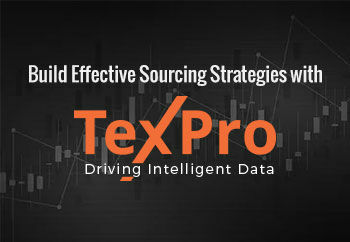 This means that the approach to sourcing also has to be thought afresh. "Due to the ever-stronger dovetailing of markets, but also to digitised processes, reliable sourcing management is as important as ever. With its sourcing showrooms, MFS offers optimal pre-requisites for gaining a comprehensive insight into the complete textiles chain across all stages of production. This is a segment we will develop further in the future." For this reason, MFS remains a dynamic platform. But for Bacon, fast fashion has changed the way the consumers shop, which in turn has affected how manufacturers produce, how buyers source at their show, and how countries export. She explains, "Over the last five years, we've seen companies like H&M, Zara and Asos, and even Amazon disrupt the apparel industry by meeting a once unmet consumer need. These companies have a quick turnaround on trendy clothing and accessories at a more affordable and desirable price. This innovation has forced other brands to try and keep up by staying competitive and providing the same offerings. "Manufacturers have upped their productivity by changing their supply chain, countries are not exporting to less developed countries to increase their manufacturing, and buyers want a quick return time from conception to shelf. This ever-growing competition has forced the entire industry to shift along with it or be left behind." In short, many don't want to be slow in catching up with fast fashion. Silva, however, has been seeing more action on the sustainability front. 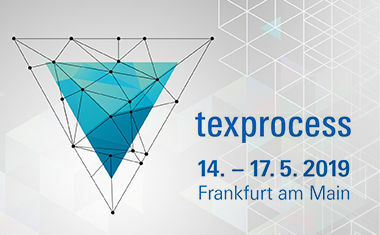 Therefore, Tintex's department of sustainability optimises fashion solutions that not only provide high performance nature-based textiles, but enable the company to arise as global leaders striving toward superior responsible fashion systems that are transparent and fully traceable throughout the supply chain. He elaborates, "We have established a framework for the entire complex supply chain, products, processes and suppliers. Strategic sourcing and ongoing research and development ensures the use of highly advanced, natural materials that are plant-based or use the less impactful dye techniques." So, its collections boast at least 90 per cent usage of sustainable materials including Tencel, new generation of cotton, and recycled materials-all supported with original or brand supplier certifications. Annovazzi goes a step ahead and asserts that responsible innovation represents the core interest in the fashion industry in 2019: "As the fashion world's main players are becoming acquainted with concepts like circular economy, design waste and sustainability, they understand that technological innovations help create smart materials that take us towards a path of responsible fashion collections. 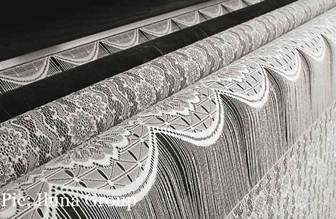 "Experts in the production of stretch lace since 1985, today we proudly are the largest European lace producer. Thanks to the effectiveness of our approach and to our solid and continued commitment, we are proud to share the fact that we have been the very first lace producer to have gained the GRS (Global Recycled Standard) for transformed products, together with the company certification STeP (Sustainable Textile Production by Oeko-Tex). Indeed, we always try to match the expectations of brands and retailers by keeping as a priority both modern design and a responsible and fully traceable supply chain in order to guarantee that good quality." Many of the trends that define trade today could well disappear tomorrow. How well-geared one is for the future would depend on ascertaining which ones will continue-and which will make an advent. Predicts Sebastian Klinder, "Developments in digitalisation, the optimisation of AI will continue. They will be employed even more specifically in individual sectors such as automotive, aerospace, and also in the medical field. In terms of the textiles and fashion markets, there is a clearly growing trend towards the personalisation of products. At present, this is highly popular in the sportswear segment for sneakers. A batch size of one is possible without any additional expenses. "This very successful example shows that production flexibly and personally targets shoppers' wishes-both in terms of smaller order volumes, markedly shorter throughput times, and design. In future, reaching the consumer faster and more directly will be a critical success factor. 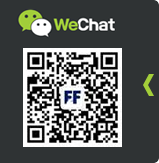 At the interface of this type of production and distribution, social media channels will play an increasingly crucial role as must-have communication platforms. 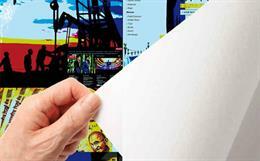 There is a new dynamism developing across the entire pipeline in a strongly growing market." Bacon's take continues from her understanding of fast fashion, as she argues, "Sustainable fashion is changing the conversation and will shift how brands continue to operate. 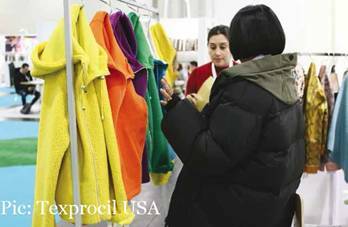 At Texworld USA, we hear more demand from our buyers-they want sustainable offerings, which is why we've implemented so much of that focus into our show this year. It is difficult to single out one factor for future fabric trade, but any factor that does not show a clear price-value ratio is an issue. The consumer wants transparency and it is a key to fabric trade success in the future. As the consumer becomes more aware of the manufacturing supply chain and has more visibility on where their clothes are coming from, they are going to only purchase from brands they know and trust." Agrees Perrone, "As awareness of environmental and sociological issues grows, the trend for sustainability in the fashion industry will only grow with it. Elsewhere in the industry, though, data is the most compelling business model; the companies that will thrive in the coming years are those that can reinvent and innovate to keep up with changes in technology and society." Ditto from Silva: "In 10 years' time, we strongly believe that everything will have the responsible factor integrated, and we will surely be in the era of the circular economy. So, we will be in an industry that will not debate only about ingredients and better production, but will be in a technological shape where production is not what we are used to thinking about." The understanding of Annovazzi is similar. He details his interpretation, "Euromonitor International's 2017 survey on global consumer trends confirmed that 65 per cent of respondents state they try to have a positive impact on the environment through everyday actions-this to reinforce what was already declared in a 2016 Morgan Stanley research survey, done in the UK, which underlined that when choosing among retailers, more than half of young consumers find ethical credentials somewhat or very important. "Additional studies in the past few years have confirmed that upwards of 65-70 per cent of consumers under 35 years from around the world will choose brands or retailers based on their ethical practices. Regarding sustainable fabric sales, it is for sure one of the fastest growing areas. Consumers are changing the rules of the game for brands, they are asking more about what is behind a product, and this commitment is expected to grow in the next decade." The verdict is clear: the keywords would be circularity, sustainability and transparency. A related trend is blockchain. In many ways, blockchain and issues of sustainability and transparency in the days to come would considerably change the ways fabric sourcing is done. MFS creative director Frank Junker says, "There is a substantially rising awareness for resourcesaving material and product manufacturing. As the organiser of MFS, we have already been committed to these issues for quite some time and offer a variety of platforms for education and information that invite visitors to enter into a debate. With Keyhouse, we have developed a thinktank for progressive fashion technology including an extended Sustainable Innovations Forum. With ReSource, we have installed a platform that highlights new sustainability dimensions by showcasing over 500 responsibly produced or certified articles. "From numerous conversations with experts, designers and fabric producers we have learnt that there are more questions asked about the origin of products. So far, our considerations have started with the end of the chain, the finished product; now we are going back to the origin and roots, and how products started. This creates increasing mindfulness and a new awareness for handling textiles and fashion." Blockchain, feels Bacon, will give sourcing teams an insight into the supply chain, allowing them to meet the requirements of whatever their brand may want to market to consumers. "By providing this transparency, a brand that is sourcing the fabrics can see how each specific fabric is developed and if those meet the requirements they want to communicate to their own consumers. 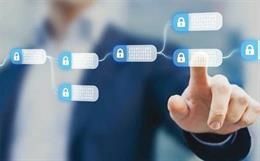 Seeing certifications provided through blockchain will give brands the ability to pick and choose certain sustainable attributes based on the data." An interesting angle to the subject comes from Perrone: "Brexit could be the trigger that the UK needs to unlock the potential of blockchain. Major business leaders have long pushed for more transparency, price-efficiency and data insight, starting at the creation of a product to its final destination. Huge leaps in accountability have come about as a result of this technology. This means that consumers can know exactly what their food or clothing contains, how it is made, whether it is organic and fair trade, whether their goods are genuine or produced with respect to workers' rights. "As well as obvious benefits to the consumer, transparency helps maintain the integrity of a company, potentially reduce costs, helps pinpoint human error and offers greater insight into the manufacturing process as well as time efficiencies. Supply chains of the future will be more responsive, efficient and flexible than their contemporaries." And this could happen faster than you know. chain together with a stronger and, first of all, clearer communication about new smart certified values (for example: use of water, chemicals, energy, ethical policies, etc) could be really fundamental for consumers to judge and value products while buying." 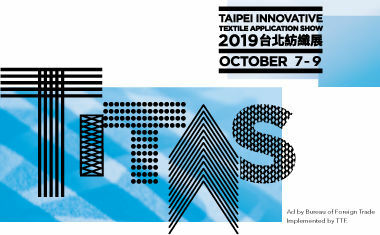 Tintex, so, aims to be at the forefront of materials technology and innovation, and thus be able to include responsibility, "We are committed to design responsibility starting with hangtags, promotional material, direct information from our commercial team. 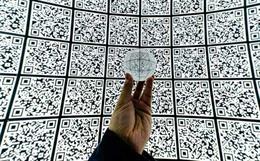 We need to use this new generation of values coming from smart innovation in a way that consumers can quickly read and delve deep (for example, a QR code linked to the website for transparency) to be able to make a better choice. We are not just talking about sustainability, but about adding a new generation of values that speaks to the consumer." Silva provides an example. 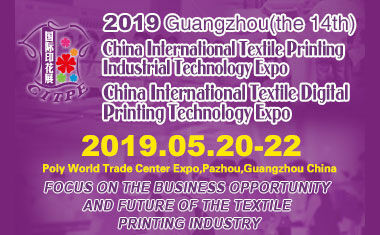 For the last two seasons, at the company booths in textile fairs, "we started using an e-totem with two key functions. 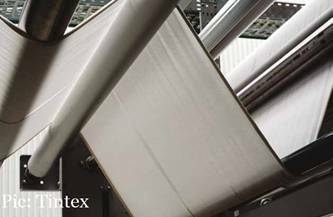 First, it delivers to users all info about Tintex, our corporate profile, commitment to responsible innovation, and the concept behind our seasonal collection. 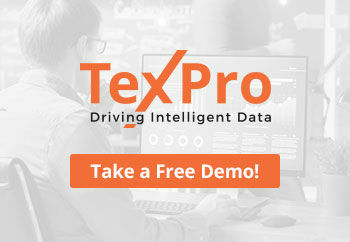 Second, through RFID (Radio Frequency Identification) technology, the process of making fabric sampling has been made more efficient, quicker and autonomous." Annovazzi too believes that the blockchain element will change things: "Guaranteeing transparency and traceability of the products through blockchain will help the consumer to get a clearer understanding of the story behind (the products). The advantage of the blockchain as a database is independent, decentralised, and gives access to the public without giving up on security." For now, Iluna's newest digital programs include a brand new e-shop that offers its exclusive materials to smaller companies looking for added values such as creativity, innovation, 'Made in Italy' tag and responsibility. The whole collection is visible online, and orders can be made directly. 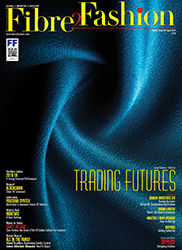 To cut a long prediction short, the future of the global fabric trade is going to be as exciting as it might be unpredictable.